You are invited to come out and socialize with fellow Tallahassee nature lovers! 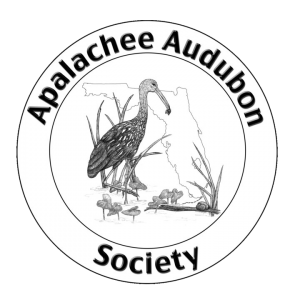 This winter social is co-hosted by the Big Bend Sierra Club and the Apalachee Audubon Society. There will be delicious GrassLands beer for purchase, free pizza from Gaines Street Pies and both Jeremy Matlow and Rick Minor have been invited to attend. Pizza will be served at 7:00 p.m. This conference will bring renewed attention to the ecological, cultural and economic importance of the Apalachicola River, Floodplain and Bay and strengthen efforts to ensure the sustainability of this resource for current and future generations. The political, regulatory, and physical contexts for managing long standing issues of flow are changing within the Tri-State region of the Apalachicola Chattahoochee Flint (ACF) Basin. Of particular importance are the Apalachicola-Chattahoochee-Flint River Basin Water Control Manual recently proposed by the U.S. Army Corps of Engineers and the anticipated decision by the U.S. Supreme Court in Florida v Georgia. Drought management is taking on increased importance, while long standing questions of science and management remain important both in Florida and within the larger ACF Basin. The conference will offer opportunities to learn about the challenges and opportunities ahead from knowledgeable scientists, elected leaders and local, state and federal water managers in the Tri-State region, as well as from other stakeholders.